Out with the old, tattered and torn sun shades – and in with a set of new, thick, robust shades that will keep enthusiasts dry and sun-protected while waiting for their turn on the green. 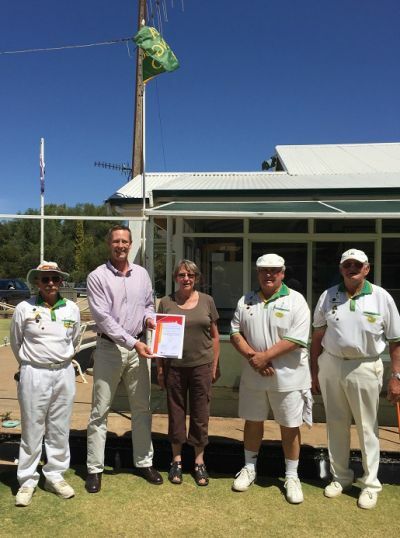 That’s been the big news of late at the Burra Bowling Club in SA’s mid-north! The installation of the new sun shades marks the end of a years-long battle to replace the old covers, which the club felt were a disincentive to new players joining, and older players staying on. The change cost just under $12,000, including the donation of time and labour from members who installed the shades and their frames. The Office for Recreation and Sport contributed almost $6,000 under its Active Club program. The Active Club program has a 2016-17 budget of $2.55m. Grants of up to $5,000 are available for programs and equipment, and of up to $25,000 for facilities upgrades (on a dollar-for-dollar basis). *The next funding round opens on 13 February 2016.